Have you ever struggled with your body image or in a moment of depression felt unloveable? 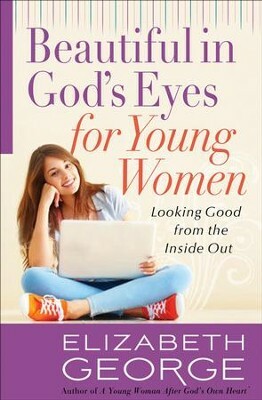 Bestselling author Elizabeth George encourages and guides you to see how beautiful you are in God's eyes. 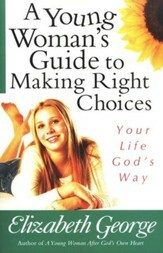 Discover the purpose, confidence, and joy of becoming the inspired young woman God created you to be. Have you ever struggled with your body image or in a moment of depression asked, Why am I ugly?” Bestselling author Elizabeth George wants you to experience the confidence of knowing that you are beautiful in God’s eyes. Many young women struggle with eating disorders or distorted body images because they believe the world’s version of ultimate beauty, perfection, or femininity. They are deciding, based on those lies, that they are too ugly, too fat, too differenttoo unloveable. It’s time to give your body image a makeover by using God’s truth as your mirror. Surround yourself with inspiring Bible verses and Elizabeth’s encouraging guidance to discover purpose and confidence you’ve only dreamed of having. 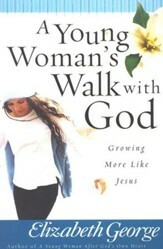 If you want to see something really beautifultake a look at the incredible young woman God made you to be. 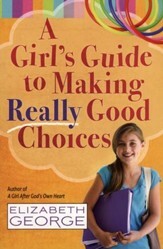 Elizabeth George, whose books have sold more than 9 million copies, is the author of A Woman After Gods Own Heart® (more than 1 million copies sold) and Breaking the Worry Habit...Forever! Shes also a popular speaker at Christian womens events. Elizabeth and her husband, Jim, are parents and grandparents, and have been active in ministry for more than 30 years. 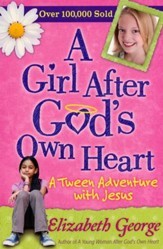 I'm the author/artist and I want to review Beautiful in God's Eyes for Young Women: Looking Good from the Inside Out.